The card is attractive for a number of reasons. First, it nicely ties the 1917 seal to a post card that also shows the newly enacted war-time post card rate of 2c. Second, its message was less banal than most. Third, it’s a Christmas-time usage. Fourth, it’s sent to a man named Christ. 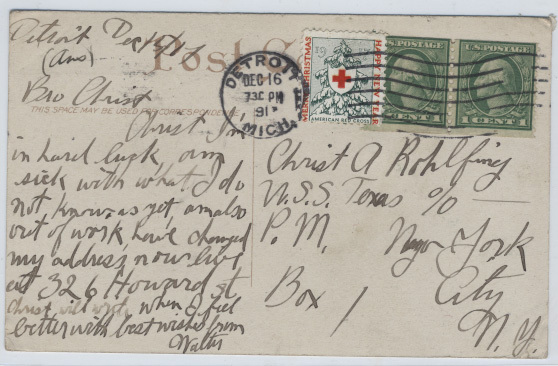 And, finally, it’s sent to the USS Texas. Working backwards in this list. 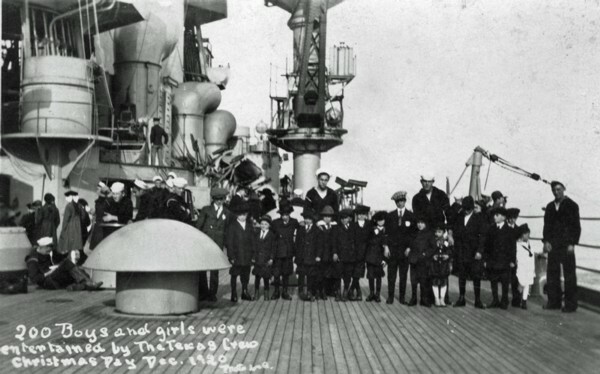 The USS Texas is part of an evolutionary line in American naval design. 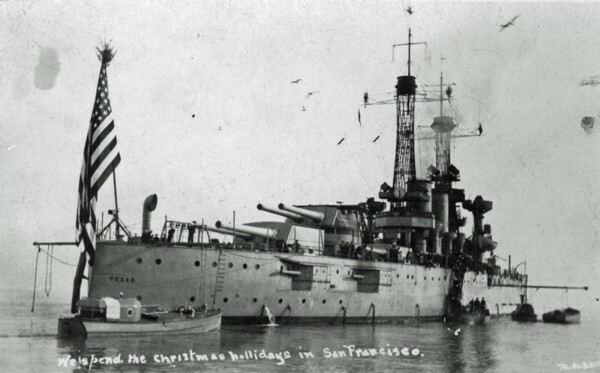 She resembles, in aesthetics and lines, the fast cruisers, like Dewey’s USS Olympia, that she replaced, while being structurally designed and armed far more similarly to Britain’s HMS Dreadnought, into whose class she fits. 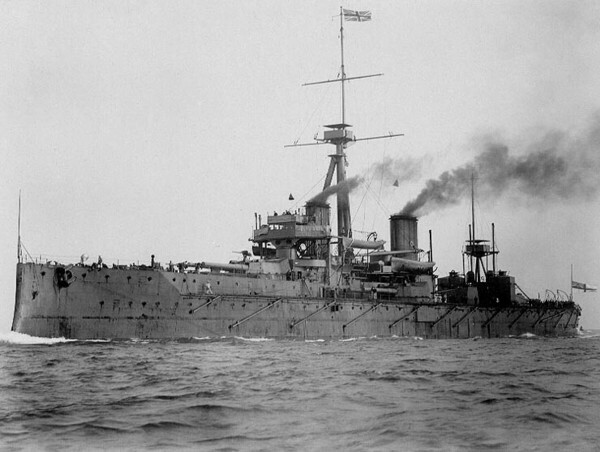 HMS Dreadnought is the first of a series of ships that, first are called dreadnoughts and, later, become progenitors of today’s battleships. 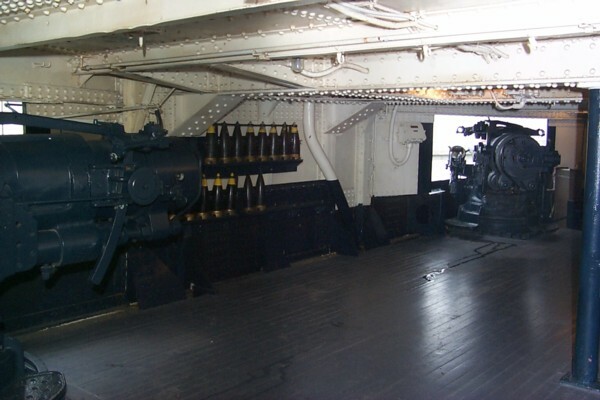 Her main deck mounts multiple turrets, each with a pair of 12” guns, while her hull originally mounted 21 5” guns, with barrels extending outside gun ports. These latter were removed early in her history, primarily because water coming through the ports threatened to swamp her. Ultimately, her main guns would be augmented to protect against threats that didn’t exist when her keel was laid: airplanes. She was the first capital ship to do so. A restored 5” gun mounted in the hull. These had been removed to better protect the integrity of the ship at sea and to allow for mounting of anti-aircraft guns in their stead. The Texas State Historical Society maintains a website, http://www.tpwd.state.tx.us/spdest/findadest/parks/battleship_texas/hist.phtml, and the First Texas Volunteers host a more detailed site, http://www.usstexasbb35.com/introduction.htm, through which additional sites can be reached. I bring these up early so that interested parties can read, and see, much more, and to credit those sites for much of what follows. Two pictures of USS Texas, one from the war and another closely after. 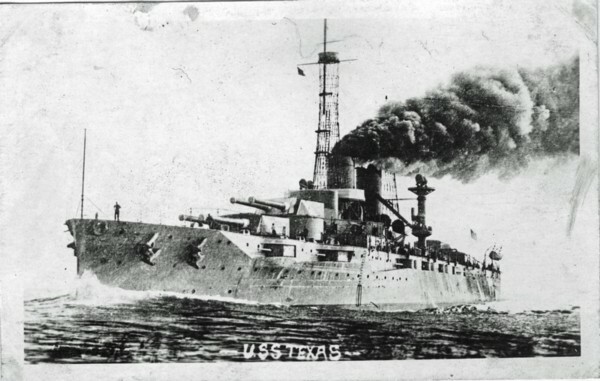 Texas was launched in 1912 and commissioned two years later. Prior to the Spanish-American War, American naval shipbuilding had concentrated on fast cruisers, ships intended to project American interests quickly on the high seas. But other nations were building much more heavily armed and armored ships against which ships like Olympia would be no match. She is the second of two ships of the New York class of battleships. She is the sole surviving battleship that served in the First World War. Texas would be the first battleship to mount an airplane and the first to mount anti-aircraft guns, all this predating the prescient General Mitchell. She would serve in both the First and Second World Wars. She now fights for the funding to keep her afloat as a museum. I’ve tried to locate crew rosters for the Texas from this period and, to date, have been unsuccessful. I’d be grateful to anyone with an in with the US Navy who might inquire on my behalf. My guess is that Christ is a shortening of Christian. Either way, it’s a nice touch on a Christmas-time letter. Most likely, we see its irony more clearly than sender or sailor…maybe. 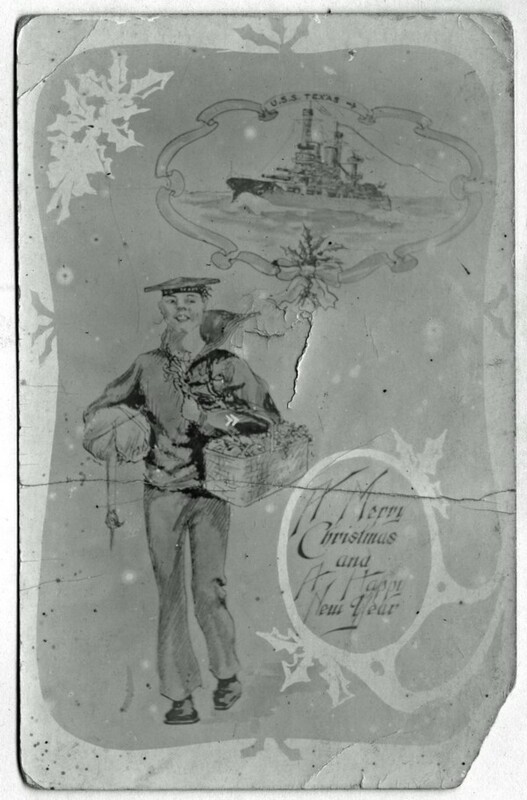 Christmas time aboard ship, away from home, especially in war-time, must be difficult. 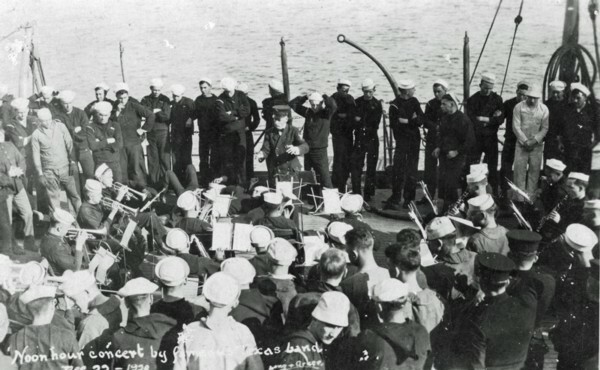 For sailors drawing convoy duty, as the Texas did, the sea held unseen but very real dangers, as it was the sinking of the RMS Lusitania that helped bring America into the war. 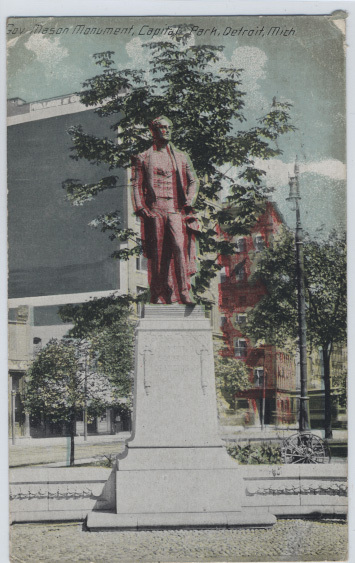 The post card, although hardly spirit-lifting in itself, must have been welcome. We can guess that because it somehow survived. 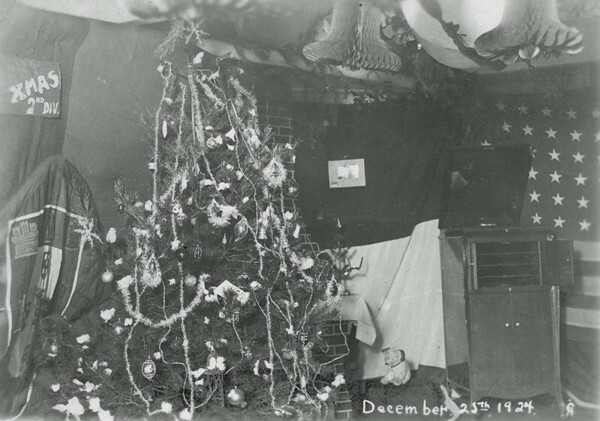 Photos from several different Christmas displays, both war-time and in the early 20s, show some of the crew’s efforts at festivity and normalcy. Many countries produced, and some still do, war-tax stamps. Mostly they are a funding mechanism; but they can also serve a political purpose as Bahrain’s and Cyprus’ war-tax stamps do. There is, of course, no real war in either country, but Bahrain’s is in sympathy and Cyprus’ division remains a thorn on both sides of the UN buffer zone. America never created a war-tax stamp, per se, but, instead, raised postal rates during the First World War. Because the USPOD was part of the government, rather than a quasi-governmental agency as the USPS is now [and that actually subsidizes government activities, rather than the other way around], all stamp sales effectively went directly into government coffers. Quite nicely, the 2c is paid by a pair of Scott 443 coil stamps. The seller didn’t identify them as such, and I didn’t pay them much mind (Washington Franklins are one the banes of my stamp desk) but I could ID these. Interestingly, a pair of used 443s was offered in SOR’s auction, and the seller listed them at a much higher value than my older Scott catalogue had them. Apparently, they’ve risen considerably in the last couple of years. It’s just an added bonus, because it’s the history I’m after; and, before I began delving into the history, the seal. I am grateful to Janice Sniker, Battleship TEXAS State Historic Site, and Tom Scott, First Texas Volunteers, who provided much information and immense help securing the images for this article. I might have been able to write this without them, but it would have been a duller article indeed, and I wouldn’t have had nearly as much fun. A visit to their web sites will be quite rewarding and show you how I’ve just scratched the surface on this great warship. For those who might be interested in learning more about seals, I invite you look at Seal News, the quarterly journal of the Christmas Seal and Charity Stamp Society. 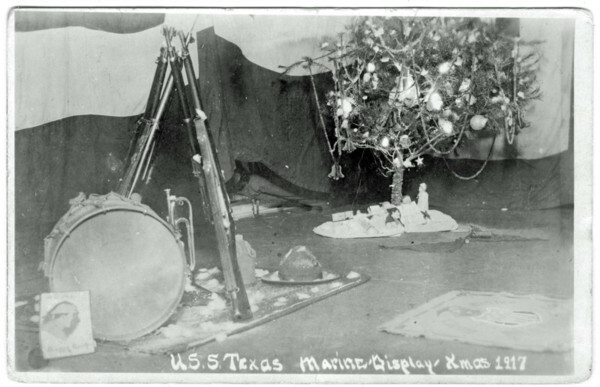 Photos are supplied courtesy of the Texas Historical Society, except the Dreadnought, which is public domain, my post card, and the 5” gun, which is supplied by Tom Scott of First Texas Volunteers. It was he who took the latter image. Photographer of all other images is unknown.